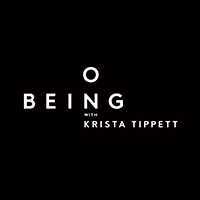 On Being with Krista Tippett takes up the big questions with scientists and theologians, artists and teachers — some you know and others you’ll love to meet. Each week a new discovery about the immensity of our lives. Krista Tippett is a Peabody Award-winning broadcaster and New York Times bestselling author. In 2014, she received the National Humanities Medal at the White House for “thoughtfully delving into the mysteries of human existence. On the air and in print, Ms. Tippett avoids easy answers, embracing complexity and inviting people of all faiths, no faith, and every background to join the conversation.” Krista was a journalist and diplomat in Cold War Berlin and holds a Masters of Divinity from Yale University. Her books include Einstein’s God — Conversations about Science and the Human Spirit; and Speaking of Faith — Why Religion Matters, and How to Talk about It. In 2013, Krista took On Being and The Civil Conversations Project into independent production.